Emirates flight EK0863 from Muscat, Oman, to Dubai was canceled after staff found a snake on the plane. 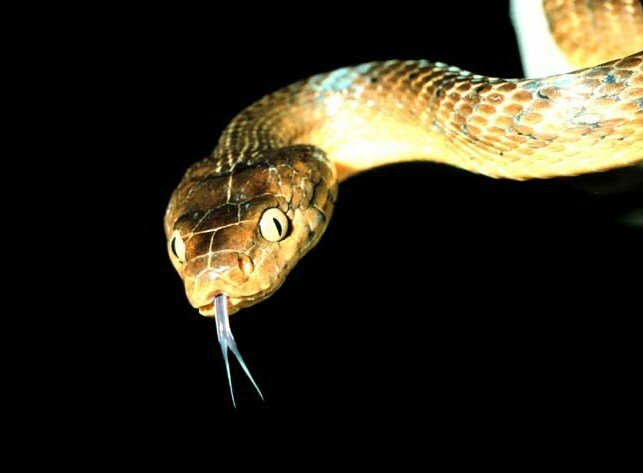 The plane was grounded after baggage handlers found the snake in the cargo hold. An Emirates spokesperson, quoted by Dubai-based media, said the serpent was found before passengers boarded the plane. The plane was searched before re-entering service and arriving at its destination several hours later. The airliner did not specify the species of snake, nor whether it was potentially dangerous. This is not the first time when a snake has tried to travel free of charge on planes from warm climates. In November 2016, passengers on a Mexico domestic flight were panicked by the appearance of 3ft-long snake which dropped from the overhead compartments. A 10ft scrub python was spotted clinging on to the wing as a plane made its way between the Australian town of Cairns and Port Moresby in Papua New Guinea in 2013.